Field service budgets and customer service are currently anything but predictable. Sales managers overseeing the profitability of services, market differentiation, and new service offerings are tasked with the complexity of accurate billing for service calls (travel, time and materials) and customer satisfaction is uncertain. Often, processes for future value-added planned services are overlooked. How do you even differentiate your services from the competition? The field service team decreases their service call time-to-resolution by 50%. Mileage and travel time are added to the system without the need for tech data input. All location tracking is certified through geofencing, triggering your company’s desired actions (e.g. start timer, track movement, etc.) when a tech’s device enters a set location. All activities performed on a service call are tracked in one app, so you can see a list of actions taken, parts used, time required, travel, and more in one place. Workflows can be activated for regular maintenance, predictive maintenance, satisfaction surveys, billing, etc. leading to increased future revenue with shorter billing cycles. Customers receive a detailed and automated job report so they know exactly what was done by whom and have a clear understanding of the service call’s invoice. It’s a sale manager’s dream – value-added service tracking for the future. Livemote gives sales managers a whole new way of automatically tracking your customers service calls. Get to know which issues affect your products and offer exceptional field service to increase profitability. By improving customer satisfaction, efficiency, and accuracy, techs will be able to perform more calls much more efficiently. Plus, the likelihood of the need for multi-visit resolution is drastically decreased. This equals satisfied customers! "Field operators who use augmented reality solutions see a 34% improvement of workers’ performance on first use." How does automated work order management software increase profits? What would happen if you were able to leverage automated work order management software as a service solution (SaaS) that is integrated right into every technician’s mobile device? By harnessing the power of digital transformation, you turn every field service tech into an efficient extension of your sales team. Let the app add invoice line items automatically from miles and geo-located and geofenced on-site time/location tracking. Paperwork disappears for your field service techs. Digital transformation is automating many of the most time-intensive (read: expensive) processes and ensuring that what needs to be billed is actually billed. Work order paperwork completion is a repetitive and administrative task that can easily be automated. This leads to a much faster collection of receivables and a positive cash flow. Now, imagine that instead of your field service techs just being the “fixers” doing repetitive work and paperwork they are seen as trusted advisors and partners, who guarantee an efficient revenue stream for your company. By improving customer satisfaction, you position your company as the go-to for all things equipment-related, but also have the customer’s ear when you explain how preventative and scheduled maintenance will reduce the future number of calls and save them money in the long run. SLAs become incredibly profitable, the number of emergency calls your company receives goes down and you have an effective means to win the trust of your customers. And increased profitability and profit centers are just the start. That’s the power of Livemote. By using Livemote, your company boosts its revenue with powerful automated work order management. Livemote’s Augmented Reality (AR) application powered by Artificial Intelligence (AI) is designed especially for field use in time-sensitive applications and opens up the door to profitability and new SLA revenue streams. "Nearly 70% of workers say the biggest opportunity of automation lies in reducing time wasted on repetitive work." How will adding automation change my team’s performance? Automation will track everything for your field techs and report it directly back in order to improve customer satisfaction and help identify areas of value-added service offerings for future revenue streams. You can easily access data and produce analysis and reports which can be shared internally or with the customer. And, thanks to the full-API architecture, data can be readily imported from or exported to third-party solutions or company management systems so if you want to automate billing or additional processes, it’s easy to do! Every process is automatically tracked and the data securely transmitted and archived. "By 2020, 70% of organizations will cite customer satisfaction as a primary benefit derived from implementing field service management, up from approximately 50% in 2018." How does a next-generation field service automation app add new revenue streams? 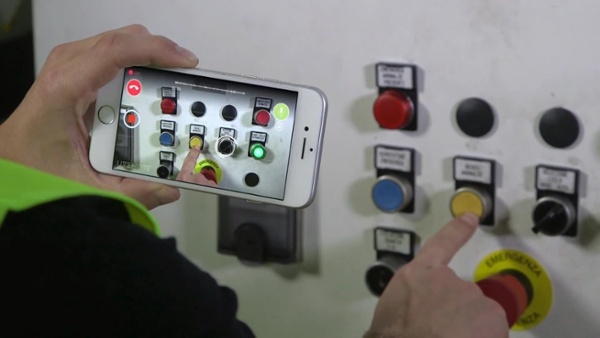 For suppliers of machinery, you can add advanced remote assistance to your equipment. Imagine the possibilities with retrofit installations and how you will further gain customer trust when you are able to remotely diagnose equipment. You will minimize service interruptions and a field tech is only dispatched when absolutely necessary, rather than for every little thing. For distributors, you can offer a customer loyalty program including remote assistance and a maintenance SLA package to your best customers. This again promotes additional trust, having close customers in your inner circle, and increases their performance while saving money and decreasing customer turnover. Customer trust is earned quicker and makes your service a vital part of their inner workings. By having remote assistance software on the front line at a customer location, you can often identify a potential problem before it becomes an issue – and proactively contact the customer with a resolution before they end up with frustrating downtime and broken machines. "Senior executives have recognized the opportunities for additional revenue streams and better customer experience in addition to increased efficiencies they had come to expect from Field Service Management". …and an unlimited amount of other possible scenarios where you become the service and maintenance hero. Imagine doubling your revenues (or more) with one app.